Protect your body’s biggest organ…your skin! 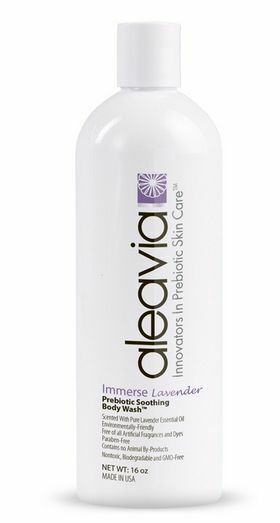 Our friends at Aleavia have developed an ecofriendly, non toxic, GMO- and paraben-free, prebiotic skincare line to help keep this important organ healthy. Aleavia is an organic solution that provides a positive environment for bacterial microorganisms found on the skin, good bacteria that process contaminants and organic waste. Immerse Body Wash contains carefully selected ingredients (only 6!) that have healing, brightening, antioxidant, and softening properties. Excellent as a body wash to leave skin feeling clean and moisturized but also as a shampoo to help combat any scalp issues you may have. It’s very thick and produces a nice lather, and we especially like the soothing lavender scent. Besides having softer skin, your body’s pH will be balanced thus eliminating body odor, and as an added benefit, you might even see an improvement in the appearance of sun spots, spider veins, and scars. A unique TrailblazerGirl find to help keep us looking and feeling our best!